The Gili islands are easy to fall in love with straight away, as you pull up on tour boat to either island you will instantly notice the tropical turquoise waters and the smell of fresh air from the van of vehicles on the three islands. 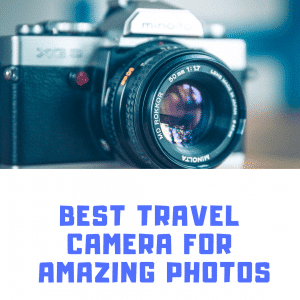 Gili T – My favourite island as there is plenty going on and there is something to do for everyone. Also, Gili T is the largest of the 3 islands. Gili Meno – This is the smallest of the three islands and is a perfect exotic location for relaxation. There is also plenty of weddings that happen on this island due to the amazing formation. However, after a the snorkelling, nice meal and sunset we got bored as there is not much to keep you entertained. Nevertheless, it is still an amazing island. 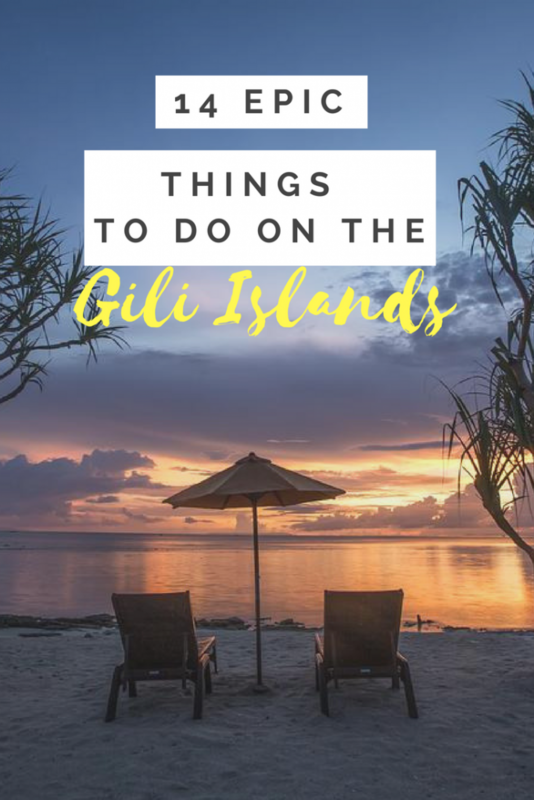 Gilo Air – This is a nice blend of both Gili T and Gili Meno offering a lively night scene and also a very relaxed vibe like Gili Meno. The Gili are famous for the tropical waters they’re surrounded by this is no wonder the snorkelling is a top thing to do on the Gili islands. 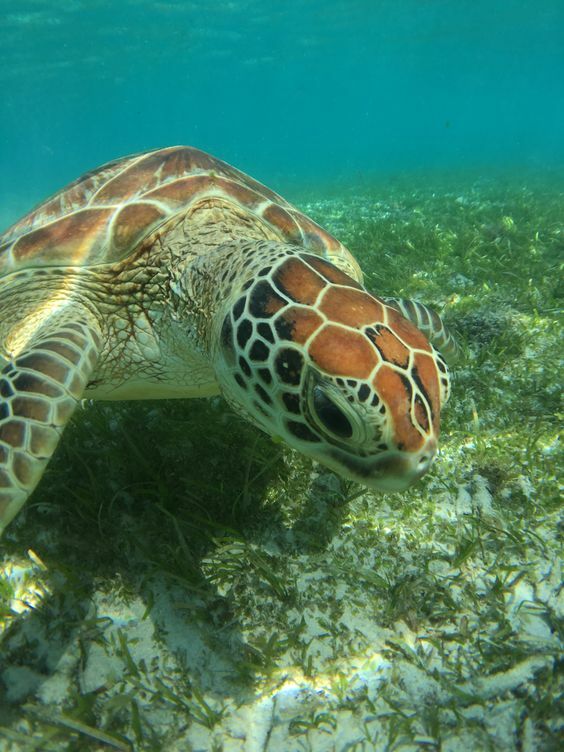 The underwater world is a true gem for cool fish, but best of all the turtles. We could not believe the size of the turtles around Gili and how they let you touch them. The turtles carry on eating plants under the water and let you get side by side without moving. It is a magical experience and feels like your in the film Nemo. 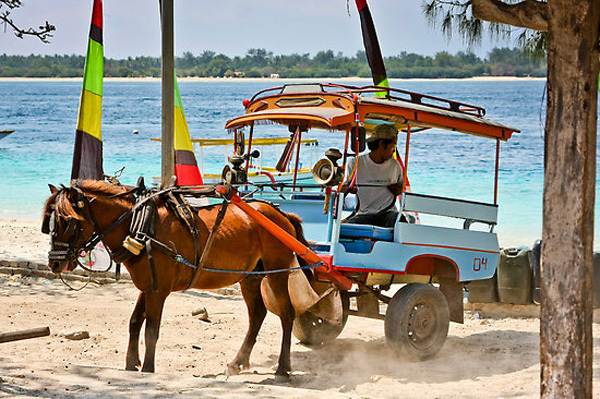 The Gili islands are easy to get to visit from each other, they are very close. There is a couple of ways to get to the islands, the first way is the public boat from Gili Trawangan which leaves around 9:30am, it costs between 20,000/30,000 Rupiah so don’t let ticket sellers to charge you anymore. I actually got the cheapest ticket from the ticket office. 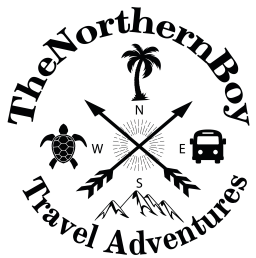 Secondly, the other way is a private boat which may cost around 200,000 Rupiah for one way, I would only recommend this if there is a group of you! Finally, the islands are that close that it is not worth really getting a private boat. 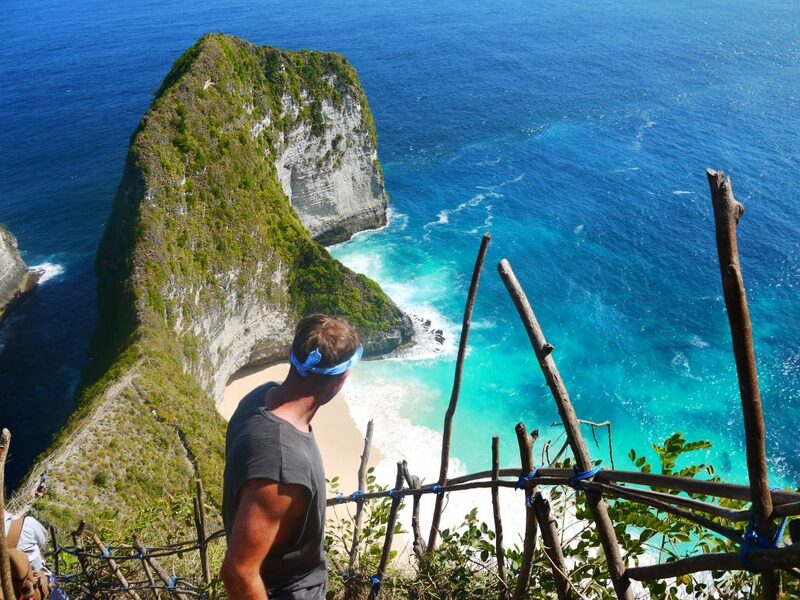 Nusa Penida is a breathtaking island and one of my favourite places in Indonesia, one of the reasons because of the Kelingking beach secret point which is one of the most stunning beaches I have ever seen and I am sure many others feel the same way. You can get to the island of Nusa Penida from the Gili islands by a 1 and a half hour fast boat, which will cost you 450,000 Rupiah per person (return). You may find this a little cheaper if you ask some of the guys working the beach. All in all it is worth the visit as there is so much to see and do on the Nusa Penida. Massages are a big thing all over Indonesia, but we had our first massage on the Gili Trawangan. It was sweet and only cost 60,000 Rupiah per person for a full body one hour massage. It was worth every Rupiah and you do come out feeling fresh and relaxed, you will definitely sleep that night. The prices do vary, but during the day the shops do offer out deals which you can snap up a bargain. After a day in the sun, sit back, relax and watch the skys fill with red in the amazing sunsets dropping over the Gili islands. There are plenty of swings, hammocks and cute benches to just put your feet up and enjoy the moment. The sunsets over the Gili islands are spectacular and put an amazing end to the day. If you love reggae or a good atmosphere then you need to visit the Sama Sama Reggae bar it is a super cool atmosphere and even better music. 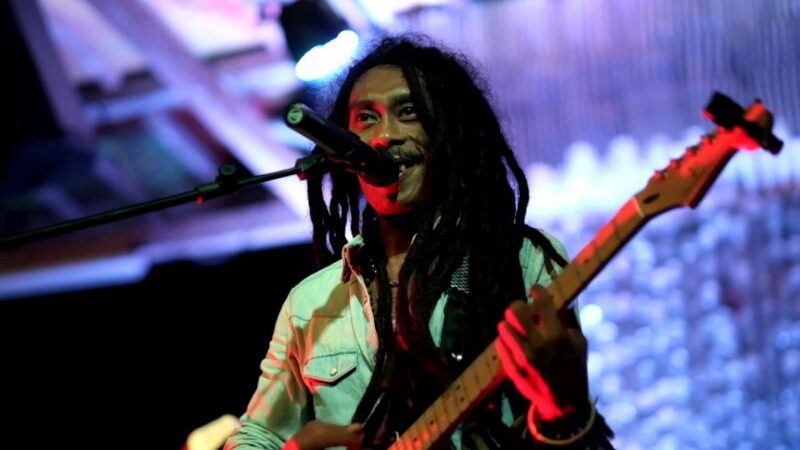 Step into the reggae world and listen to classic Bob Marley being performed b a live reggae band, the entrance is also free. 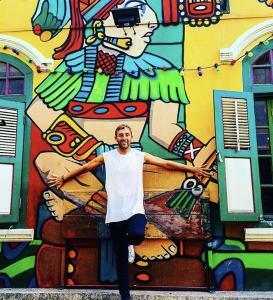 So, kickback relax and jam the night away. Gili T is the most popular out of the three islands for its famous nighttime party culture. This includes a beer crawl what a lot of backpackers take advantage of. and another big things in Gili is the beer pong .However, we don’t drink much and we expected it to be a lot wilder but it’s not all that’s wild. There is a mix of bars and clubs whether you just want to have a quite drink on Gili T or if you want to go all out partying and dancing. Paddle boarding is very popular on the Gili islands, this involves hiring a board similar to a surfboard then using our master balance (or not) to stand and paddle around the coastline of either of the Gili islands. There are hire stations dotted all over the island and the price varies but just use your barter skills to get the price lower. I wasn’t brave enough for the horse riding, but you can pay to use a horse for your adventures around the islands. However, it can be quite expensive and obviously you need the skills to handle one of these stallions. If you do have the skills then I can see this being a mega mini adventure. Other than bicycles and walking there is no other way to get around the islands. 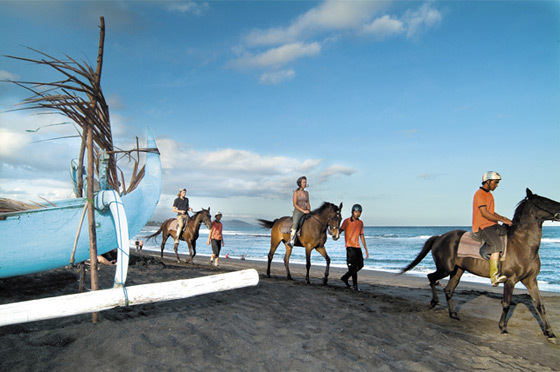 The horse taxis are great if you want I relax and have a scenic ride around the stunning islands. A lot of people take advantage of these to luggage their suitcases nd backpacks to their accommodation. Another first my favourite activities, cycling around the Gili islands is a mega experience to take an easy ride to take in the extraordinary views of these tranquil islands. The bicycles are cheap to rent at about 50,000 Rupiah for the day, however bicycles come free with a lot of the places to stay on the Gili islands. The island is roughly a 7 mile circumference and it took us about 1 hour and 20 minutes to cycle round, but it’s your stay so you go at your own pace. This a fun and easy way to see the underwater world without getting wet. Hop into a see-through floor boat and cruise into fun. You could even create you own mini navigation of the islands and hire a see-through kayak. Either way they aren’t both mega cool fun!